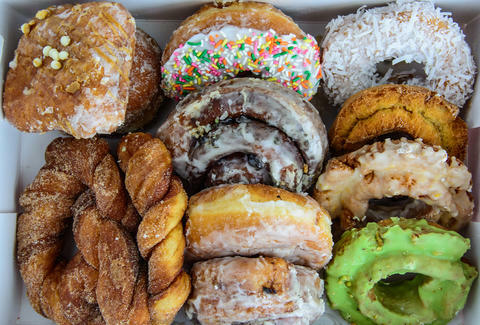 National Donut Day (today, June 3rd) doesn't mean we get the day off of frickin' work, but it does mean there are a bunch of sweet one-day donut deals around Chicago. In addition to the boatload of national chains with special offers, here are all the local freebies and discounts. Free glazed donut with the purchase of any beverage. Buy six donuts and get free prizes like bonus donuts, coffee, a T-shirt, an ice cream sandwich, or a ham & cheese donut sandwich. 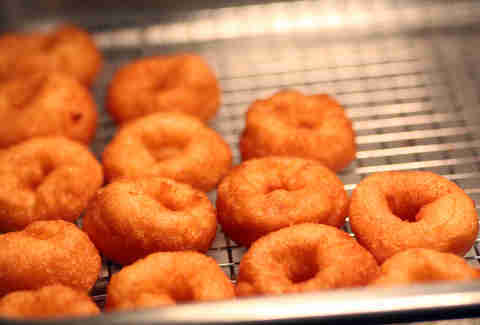 Free mini sugar-dusted donuts and mini donut milkshakes for the first 500 customers. Score a free donut with any purchase before 11am. 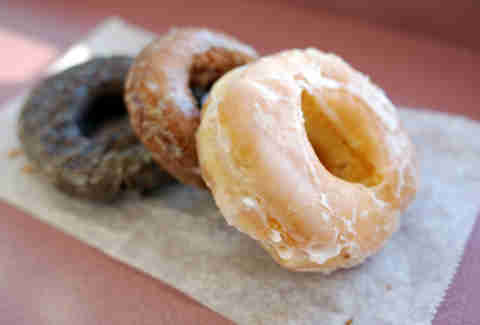 Take $1 off a dozen glazed donuts, both regular and gigantic. Free bacon maple glazed donuts for folks dining in at all locations. Get a free five spice or black sesame donut with a purchase of any bowl, wrap, or large wings. Sean Cooley is Thrillist's Cities senior editor and he's having a spirited discussion about Tori at The Max. Follow him: @SeanCooley.